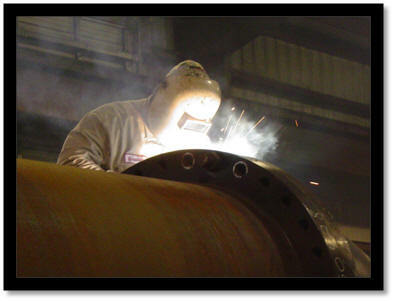 Description: A professional who can read and interpret blueprints and specifications to fabricate and assemble piping products, pressure vessels and skid mounted systems utilizing a variety of tools. Requirements: Ability to read blue prints, advanced math skills, ability to follow detailed instructions, read a tape measure, cut, fit and tack parts and assemblies without assistance, ability to cut or burn using a torch. Must have personal tools needed for fabrication, including a torpedo level, 25' tape measure, 50' tape measure, 12'' adjustable wrench, ball peen hammer, pipe fitter or framing squares, two hole pins, center punch, 4 1/2'' grinder, wrap around, pneumatic end grinder, welding hood, steel toe boots and a striker. Willingness to work overtime when needed. Description: A professional who can completely join 2 pieces of metal together using SMAW, GMAW, GTAW or FCAW welding processes. 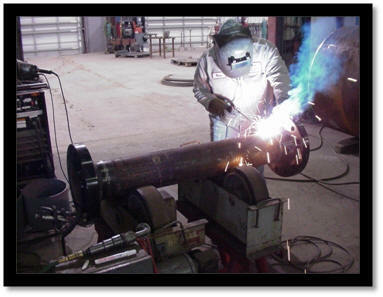 Help with fabrication when needed is a must. Requirements: Must be able to perform welding processes in all positions, pass a 2 1/2'' 6G SMAW welding test and pass x-ray or other NDE examination. Ability to adjust welding machine, read and follow WPS requirements, must have personal tools including end grinder, 4 1/2'' grinder, file, welding hood, striker, 12'' adjustable wrench and steel toe boots. Willingness to work overtime when needed. Description: A professional who can fabricate and assemble structural skids, ladders, platforms and various oilfield structures using a variety of tools. 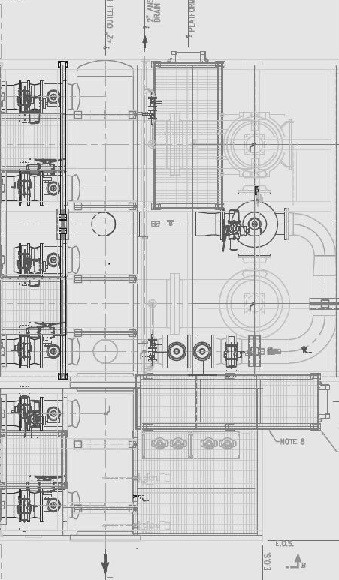 Requirements: Must be able to layout, cut, clean and fit a variety of industrial type structures, read blue prints, have advanced math skills, read and understand a tape measure, follow detailed instructions and have personal tools needed for fabrication. Required tools include a 25' and 50' tape measure, 2' carpenter's square, speed square, welding hood, center punch, 4 1/2'' grinder, ball peen hammer, steel toe boots, striker. Willingness to work overtime when needed. Description: An experienced Multi-Craftsman who can work with a team to assist with shop and project needs. Requirements: Valid Driver's License. Knowledge of system assemblies and hydro testing a plus. Forklift experience preferred. 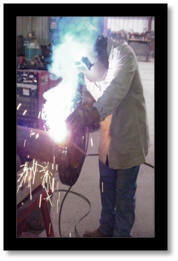 After completing the application, please fax to 361-242-3346 or email to QC(at)Brandonwelding(dot)com. Brandon Welding & Fabrication is an equal opportunity employer.